One of the best ways to attract customers is to inform them with help of newsletters. As soon as you have an interesting sale or new products the customer will receive an email about it. 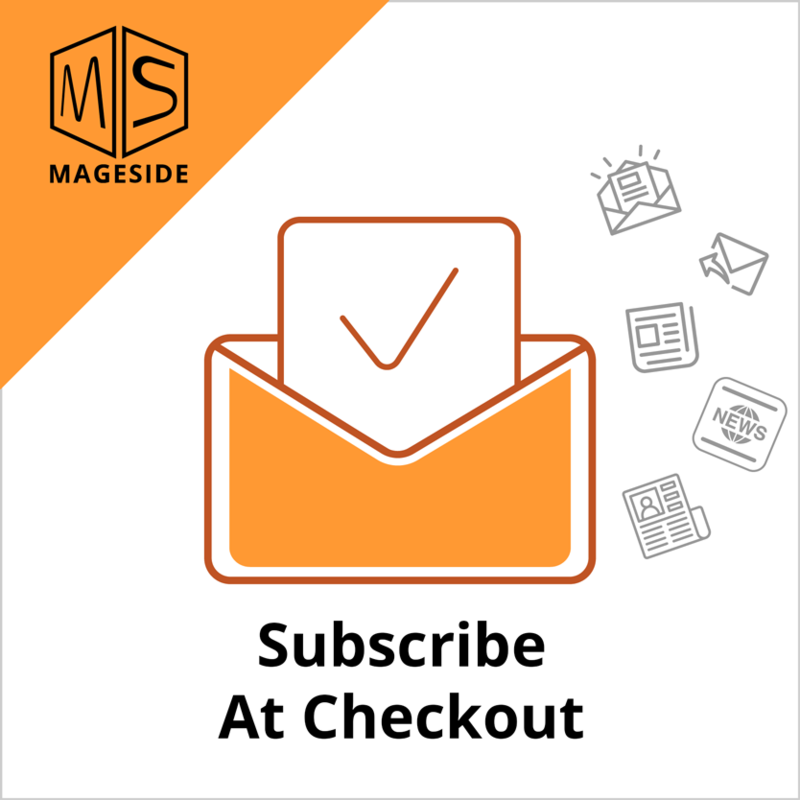 Subscribe to Newsletters at Checkout adds a check of subscription to check out, so guest customers can sign up for your store's newsletter. This extension allows you to have a few types of subscription in your store. 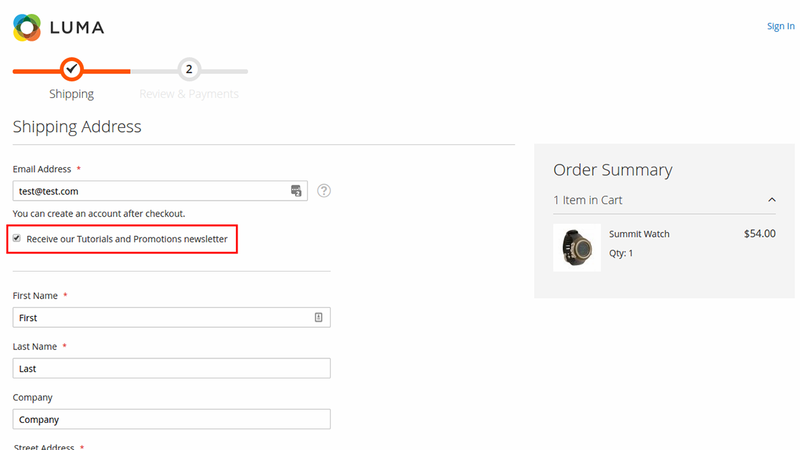 The customer should decide to subscribe or not to newsletters but you can set default option. Or you can subscribe the customer to your newsletter forcibly. It's all up to you. 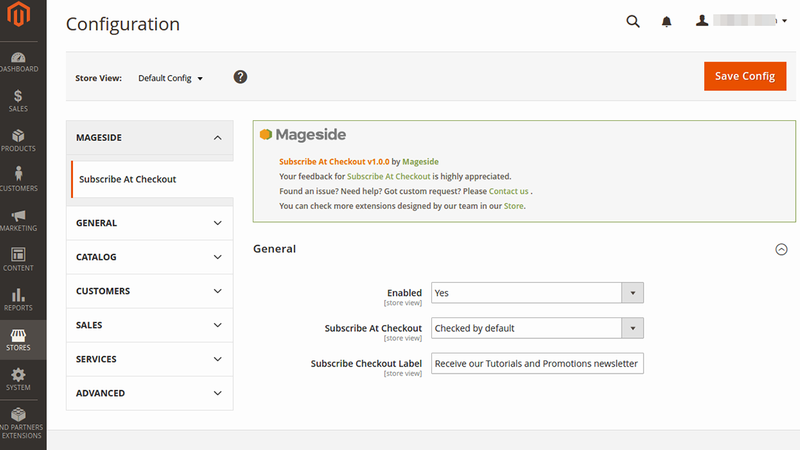 The Subscribe to Newsletters at Checkout module is easy to install and configure, no programming skills required. Our module is easy at installation and configuration. No specific programming knowledge is required to do all necessary operations. In the configuration panel of the extension an admin can write a unique checkout label. An admin can set up whether the checkbox is selected by default. Once a customer runs to complete an order, the checkbox is already checked by default. In the configuration panel an admin can set up such setting as to subscribe a customer to newsletters of your store forcibly. Once a customer runs to complete an order, he sees that he have already subscribed forcibly to your newsletters and the customer can’t change it. Download our Subscribe to Newsletters at Checkout extension and increase your newsletter subscribers database. Extension works as expected, code is clean) Thanks. I've reviewed the code of this extension and it's clean and well-written. The extension does what it says it does.